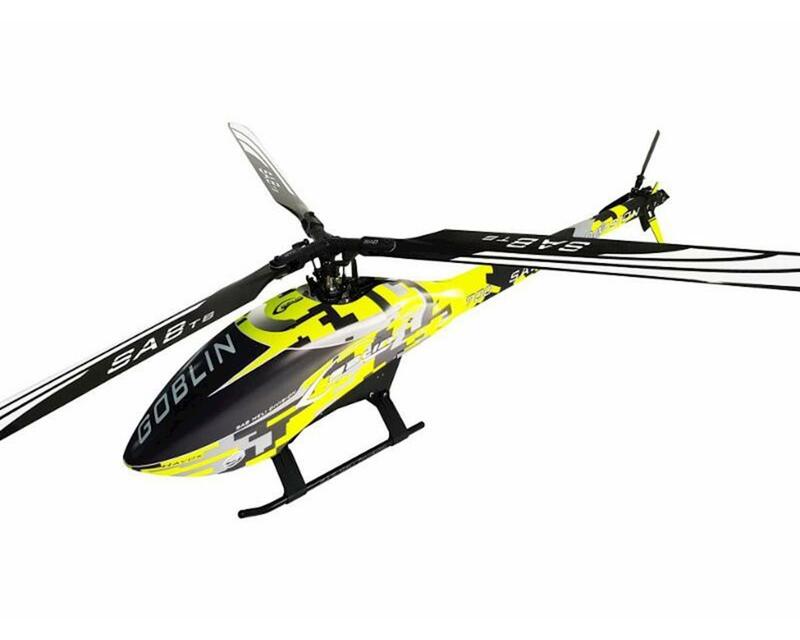 The Goblin Thunder Sport Havok Edition helicopter features an incredible digital camo style livery, full matte black anodized CNC aluminum parts, tri-blade main rotor and tail rotor blade systems, all at a cost effective price point thanks to the "Sport" series from SAB Heli Division. As found on the previous Kyle Stacy Edition Goblin 700, the most noticeable difference with the model is the use of the 3-blades Head and Tail system, which helps provide crisp and authoritative response to an already potent heli. Secondly, the original raw aluminum look has been updated with a sleek Black anodizing, perfect for the stealthy pro appearance. Other features include the updated F3C landing gear, yellow digital camo yellow colored canopy and boom, and a CNC main gear.